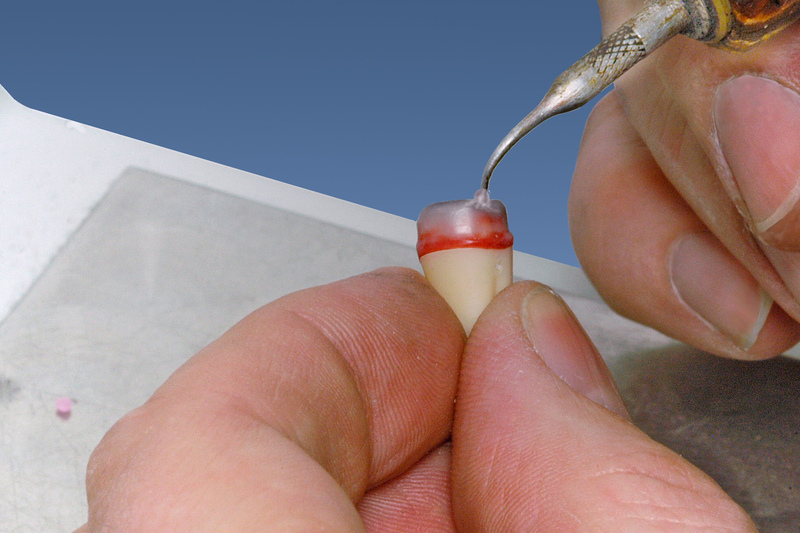 A prosthesis has to be prepared in such a way that the patient can insert it without difficulty. Additionally, it must provide the feeling of fitting snugly and firmly. The denture should also be removable without difficulty whilst not loosening at the wrong moment or due to sticky foods. The criteria must remain valid over a longer period of wear. Note: The force required for removal of the prosthesis: 250–300 P is regarded as acceptable to patients. The maximal force required for removal should not exceed 650 P, as with higher levels the patient can often not remove the prosthesis. 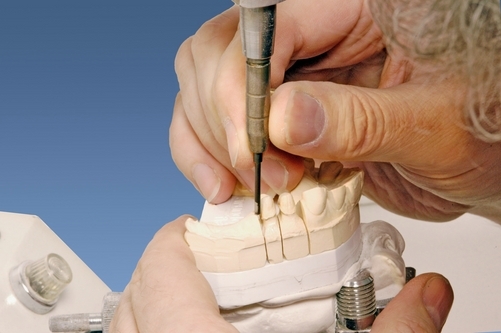 Achieving the correct friction of the individual telescope components is only possible with considerable experience and skill as well as a close collaboration with the dentist. When producing a telescope prosthesis, a few fundamental considerations have to be made with regard to the arrangement of the anchor teeth. There is a large difference in the production of multi-unit bridges, which require a common direction of insertion from the start. With crowns, one is less concerned with the original alignment of the supporting teeth as the primary crowns are applied individually and these are milled to provide the parallel sides for a common axis of insertion for the secondary crown. As telescopic crowns have multifaceted elements, care must be taken during preparation so that there is sufficient room in the interdental area for effectively four crown wall strengths (2 x inner crown plus 2 x external crown = circa 0. 7–1 mm interdentally and also taking into consideration the attachment direction). A similar situation exists for the occlusally required space (primary component + external crown). 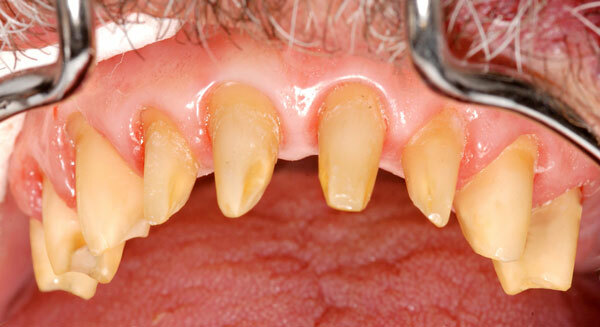 The secondary crowns attached to the prosthesis require a common alignment axis. The most important considerations are therefore: How the preparation must be positioned in order to obtain an abutment preparation in which all the primary components have two opposing parallel surfaces with circa 3. 5 to 4 mm axial length, which in turn must all be parallel to each other. In addition, you need to consider the important aesthetic aspect in your planning. The inner crowns have to be made as robust as possible without making the final product too large and chunky after milling. 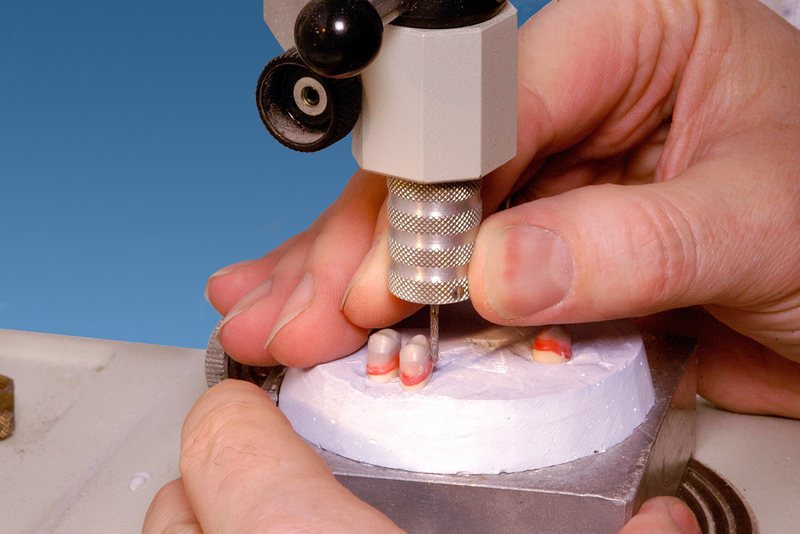 If the dental technician can create the friction surfaces as close as possible to the tooth base, which can be especially problematic with anterior telescopic crowns, then it is subsequently easier to also create a graceful outer telescope.It has been proven beneficial to undertake the work in two phases. After the first planning sitting, a plaster model of the immediate situation is produced in the laboratory using a parallelometer, thus enabling planning to be carried out at an earlier stage. The universal application of the telescopic crown technique, as well as other precision mechanical attachments such as attachments and bolt or key slides, is founded on being able to support the prosthesis on demand. After taking impressions using custom trays, the optimal attachment alignment/direction is established on the cast, for milling using a parallelometer. dental hygiene, dentist, double crown, friction, German Crown, Germany, longevity, preparation of telescopes, telescope. Lesezeichen.